I had the pleasure of working on a promotional ‘zoomquilt’ for the Sci-Fi Channel mini-series ‘Tinman’, called the Infinite Oz Experience. I worked on the piece with some amazing artists in the summer of 07, and we just heard recently that it won a Gold Medal at the London International Awards 08 - in the Entertainment Category of Digital Media. 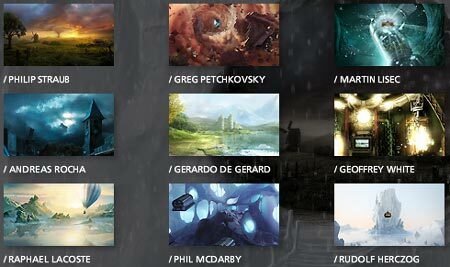 The artists involved were Andreas Rocha, Rudy Herczog, Philip Straub, Raphael Lacoste, Greg Petchkovsky, Martin Lisec, Gerardo de Gerard, Geoffrey White and myself. They were all brilliant to work with, and a ludicrously talented bunch - I learned a lot through that experience! Congrats to everyone involved, and thanks to B-Reel for the opportunity. You can take a look at the Infinite Oz Experience here - 15 images in total, one falling into the next - mine are the 13th and 14th.